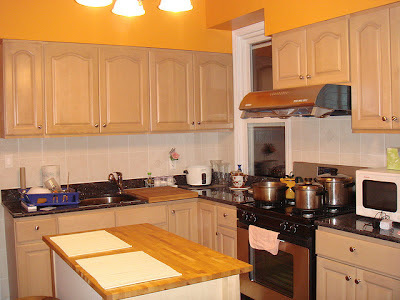 When it comes to kitchens there are usually two types of cleaning. The first includes day to day chores that are almost impossible to avoid like doing dishes, sponging down the counter, washing the floor, and wiping up spills. The second comprises things less frequently addressed that take a little more time and patience such as removing gunk, splatter, and filth from places like cabinets, walls, grout, and the oven. While the former is a quick fix and the latter can truly make the kitchen shine both necessitate proper cleaning supplies to get the job done. Unfortunately many of the standard chemical agents we use are harmful to our health and the environment which is why eco-friendly products should be considered in their place. Where such brands are hard to locate an even better solution is to use natural substances commonly found in our homes that can be utilized as green-minded cleansers. In essence baking soda (otherwise known as sodium bicarbonate) is a salt but not coarse enough to damage the various surfaces of the kitchen. In fact, it’s one of the best non-abrasive non-toxic natural cleaning agents you can find. Whether it’s a counter, fridge, or cabinets the easiest thing to do is sprinkle on some baking soda and scrub with a sponge or rag or mix a baking soda/water solution in a spray bottle and do the same. For the really tough grime sometimes found around ovens and sinks or in pots and pans a baking soda paste can be made by adding a little water and leaving it on the specified area. Check back in half hour intervals to see if it’s loosened up and if necessary repeat. Baking soda has several other uses too. Placing an open box in the fridge for two to three months at a time can help remove odors and pouring it down the drain will help unclog pipes. Note: Keep baking soda away from aluminum, a metal which it reacts to. Like baking soda another product found in almost every household that is a marvelous eco-friendly cleaner is white distilled vinegar. It erases mildew and other stains and is especially crafty when trying to remove mineral deposits around sinks and faucets. It’s also extremely effective at killing mold, brightening brass, and washing laminate flooring. Mix it in a spray bottle with a 1:1 ratio of water, apply, and scrub. If you’re concerned about the smell it goes away after a few hours. NOTE: Vinegar will corrode marble and aluminum and damage waxed surfaces, though if you want to remove wax its great. As mentioned earlier, the entire purpose for using eco-friendly substances for cleaning revolves around our health and the environment. Nevertheless, it’s important to note some can be dangerous when used improperly and hydrogen peroxide is one of them. Though the higher concentrations sometimes used for rocket propellant or to manage sewage can’t be bought over the counter it’s important to know anything above 6% should be avoided for household use. Diluted 3% peroxide can be obtained easily and is best known as a disinfectant for cuts and bruises but when mixed in a spray bottle at one part peroxide, three parts water it can be a formidable kitchen cleaner killing any germs in its path. Spray it on stainless steal sinks, counters, cutting boards, floors and more buffing with a dry cloth and repeating if necessary. If a quick spray doesn’t work spray again and let it sit for a few minutes before scrubbing. NOTE: Because hydrogen peroxide is a natural bleaching agent it can discolor sensitive surfaces or material easily so use sparingly on wood, hard wood floors, and other surfaces that are not bleach-friendly. Jakob Barry is a home improvement journalist for Networx.com. He writes about eco-friendly topics for pros across the U.S. like Charlotte, NC, flooring contractors and Tile installation in Pasadena, TX.